COCO Concept Store has been launched at Aeon Mall Tebrau City, Johor Bahru. It is a Japan fashion company which are founded by a group of young designers whose aims was to introduce a contemporary and minimalist fashion for men and women. 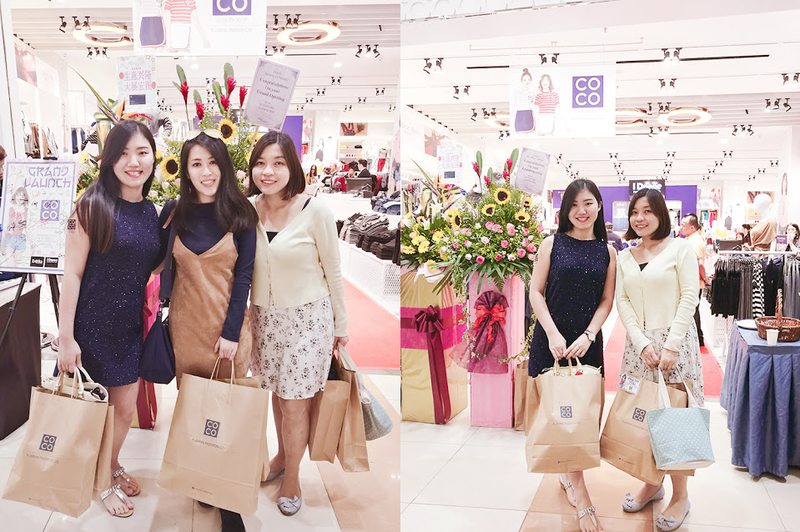 COCO's uniqeness lies in its casual yet fashionable styles with the modernity of Shinjuku - versatile to be mixed and matched for easy and comfort fashion wear for various occasions. This is the very first COCO concept store in Malaysia and more outlets to come into Malaysia soon, according to CEO. CEO says that this outlet in Johor Bahru would be the smallest outlet in Malaysia but there would be a new and big outlet to be opened at Kuala Lumpur in the following months. So guys, do stay tuned on my blog for further update on their new opening next outlets. During the launch, the models are presenting a fashion show on COCO's fashion. The fashion presented by the models look pretty good and trendy. Well, I have grabbed some pieces of them home. Do stay tuned on my instagram to sneak on my COCO's fashion. Location of COCO Concept Store is at Aeon Mall Tebrau City, Johor Bahru. Visit COCO's Facebook at www.facebook.com/cococonceptstore.